January 22nd 2019, Amsterdam - The Marginal Gains Podcast presented by SILCA and Rocket Espresso makes a big deal about the little things, and how those little things can be a big deal. The show takes the form of a three-sided panel, with former Zipp Technical Director and Silca CEO Josh Poertner joining seasoned cycling podcasters Michael “Hottie” Hotten and Elden “Fatty” Nelson to discuss the theories and benefits of Marginal Gains through systematic approaches to development. For the uninitiated, “marginal gains” are achieved by searching for a tiny margin of improvement in everything you do. The idea is that these gains can have an outsized impact when measured in aggregate. This is one of Poertner’s primary areas of expertise. 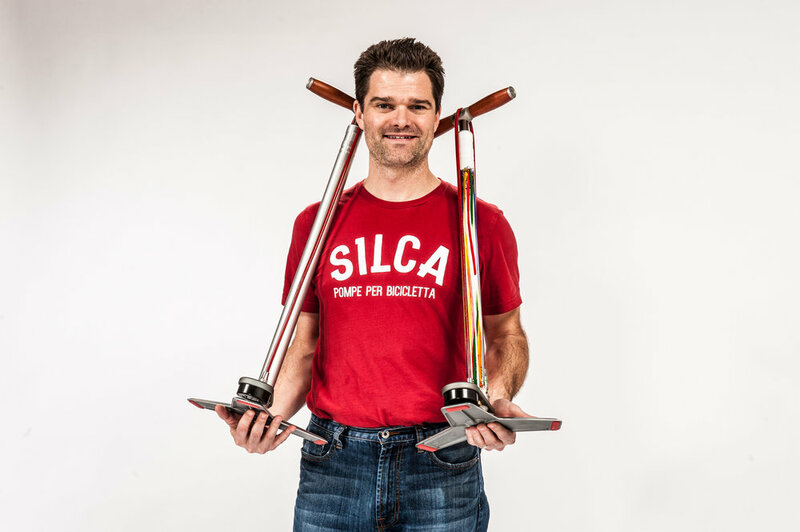 Since his days at Zipp, moving forward into re-founding of the historic Silca brand, he has made a career of approaching solutions in an analytical fashion and striving for perfection in product. In the first episode, Poertner, Hottie and Fatty obsess over about what marginal gains are, why they matter, and the huge difference Josh has seen them make in designing components and methods for World, Olympic and Tour de France champions, including a few never before told anecdotes from the pro peloton. From there it’s a jump into the deep end of conceptual thinking in cycling exploring related tangents in auto-racing, with discussions to come including topics like the benefits of asymmetry and non-linearity, supercomputing and aerospace. Future panels will also grow to include other significant and iconic voices from the worlds of bicycles, gear, racing, and even the culinary world. Marginal Gains– a show for the thinking cyclist. Episode 1: What Are Marginal Gains (and Do They Really Matter)?